chess24 lets you play individual games or tournaments against opponents all around the world, with thousands of fellow enthusiasts and hundreds of games going on at any hour of the day, or face off with varied computer opponents as your sparring partners. Our mobile apps mean the next game is always at your fingertips. 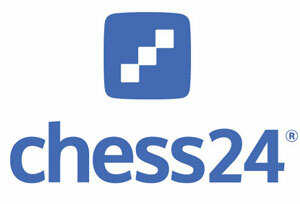 chess24 will cover all the big chess events with a state-of-theart live broadcast system, bringing viewers close to the action. Premium members can challenge titled players in live shows and enjoy exclusive training and entertainment shows. chess24 will keep you informed of all that’s going on in the chess world, with up-to-date news, tournament reports, game analysis, player profiles, and a chess glossary. Our Community area lets members share their own news and other stories with the rest of the chess24 family. Video lessons from top chess players help players of all levels to improve their game. The Tactics Trainer enables you to spot winning patterns at the board. 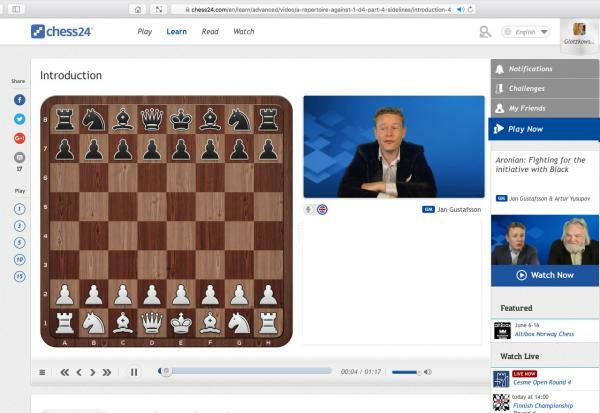 Our Analysis tool lets you study master games, create a library of your own games complete with annotations, and share it all live with other chess24 members.